Display your Boeing B17 pride with this pre-washed, short-sleeve T-shirt -- great for errands, work in the yard, or a hike. 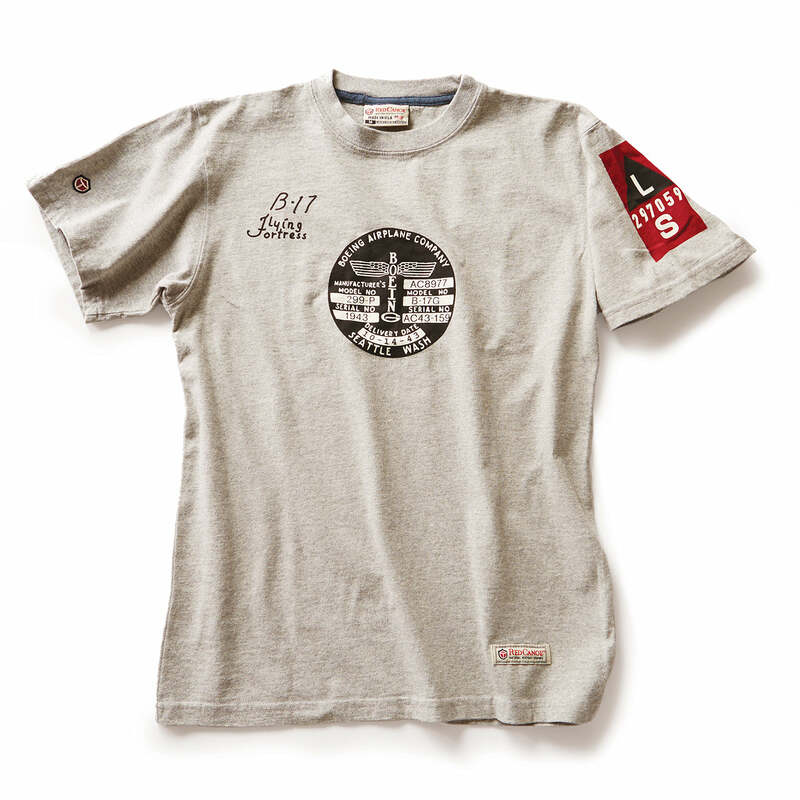 This standard-fit tee is styled with 100% cotton; a rib collar; sleeve details and graphics (see images below); and features the Boeing B17 print on the back and the Boeing totem logo on the front. Gray. Made in the USA.